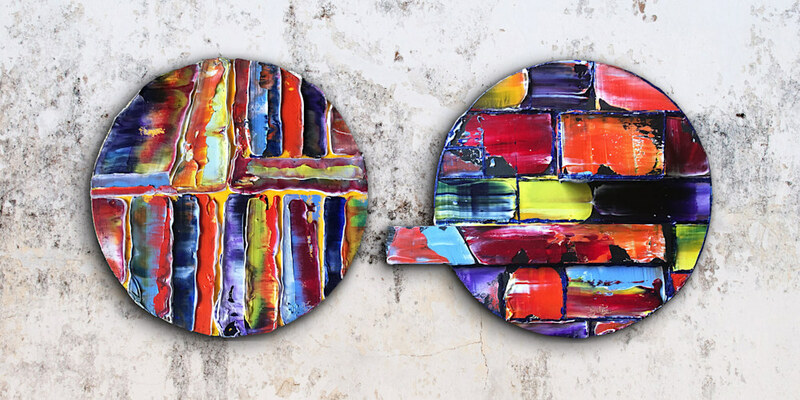 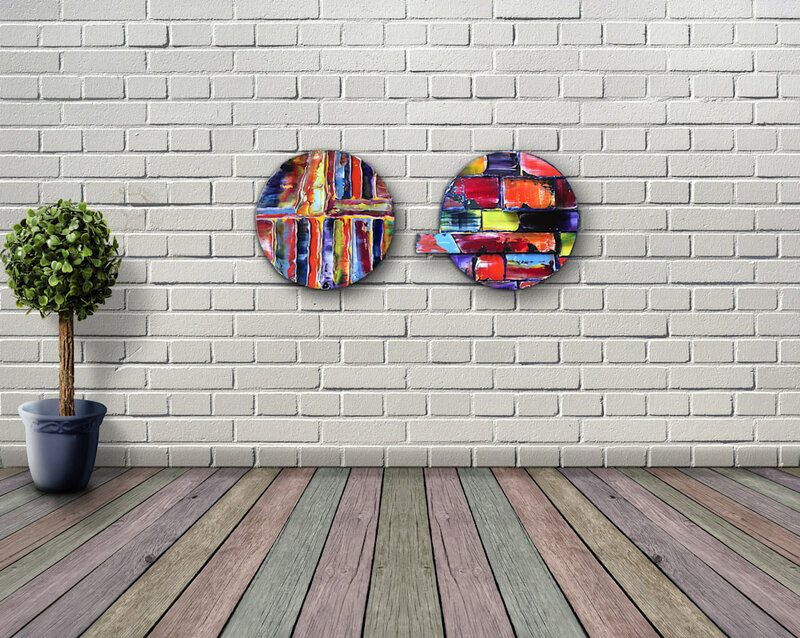 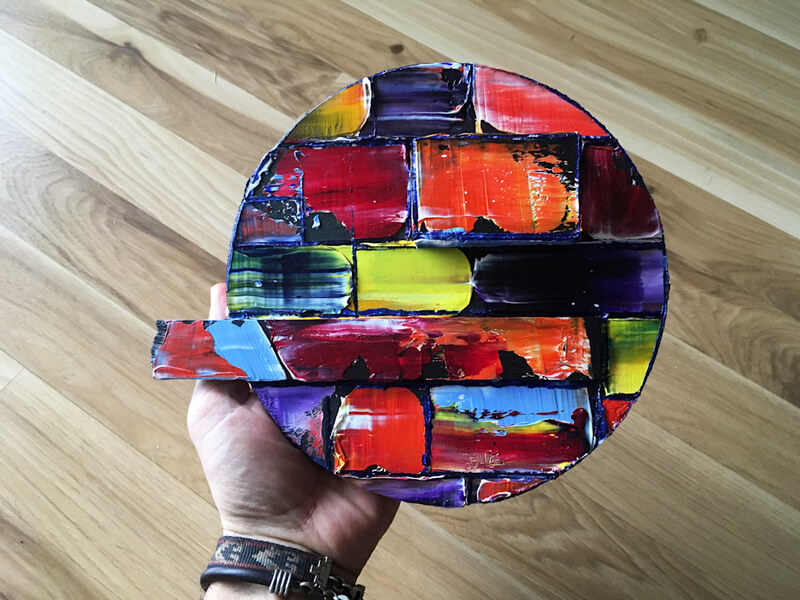 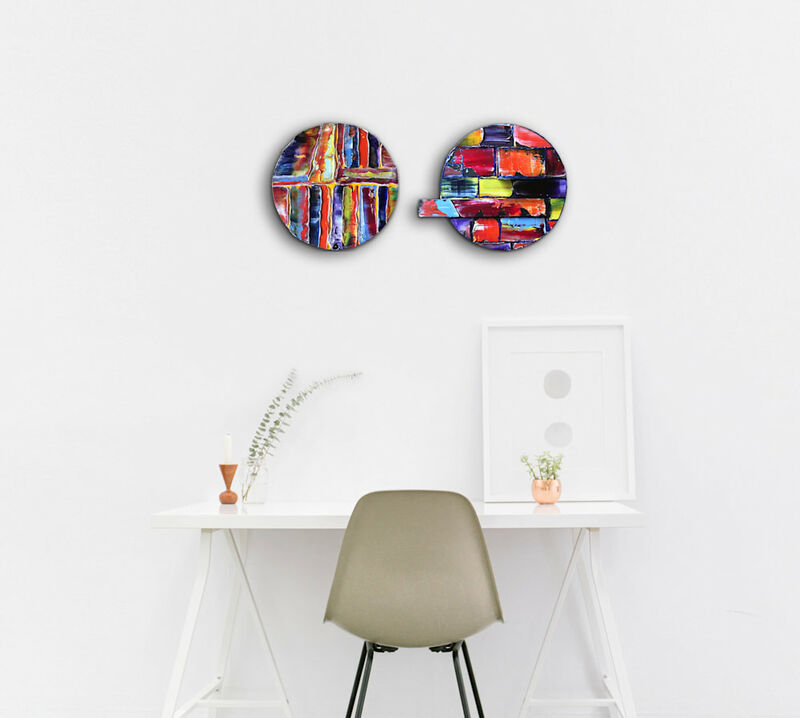 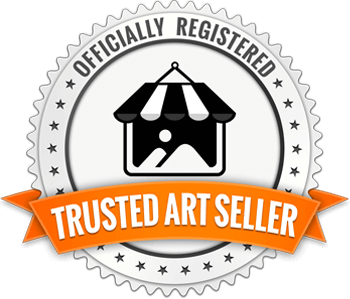 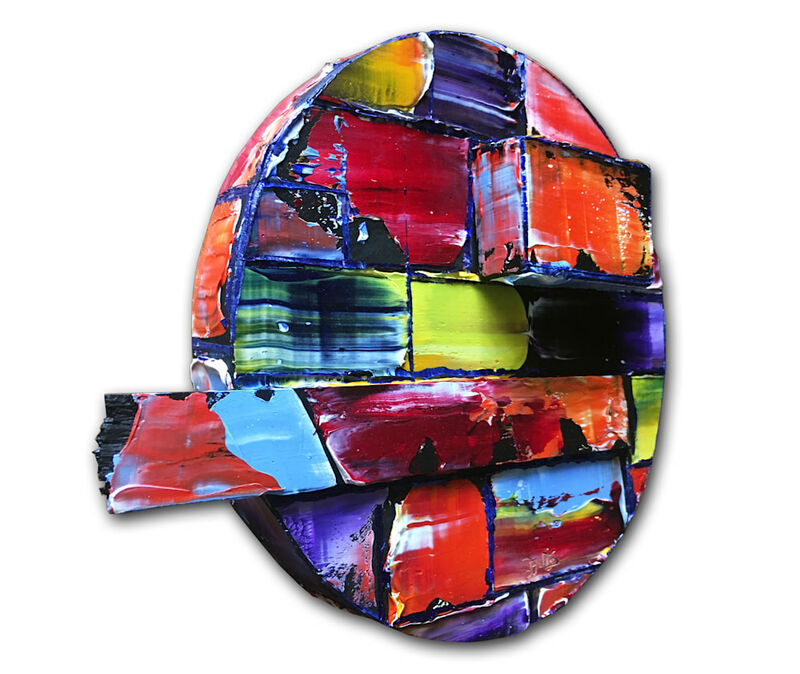 These are completely unique and original PMS Mixed Media Sculptural paintings on circular wooden panels. 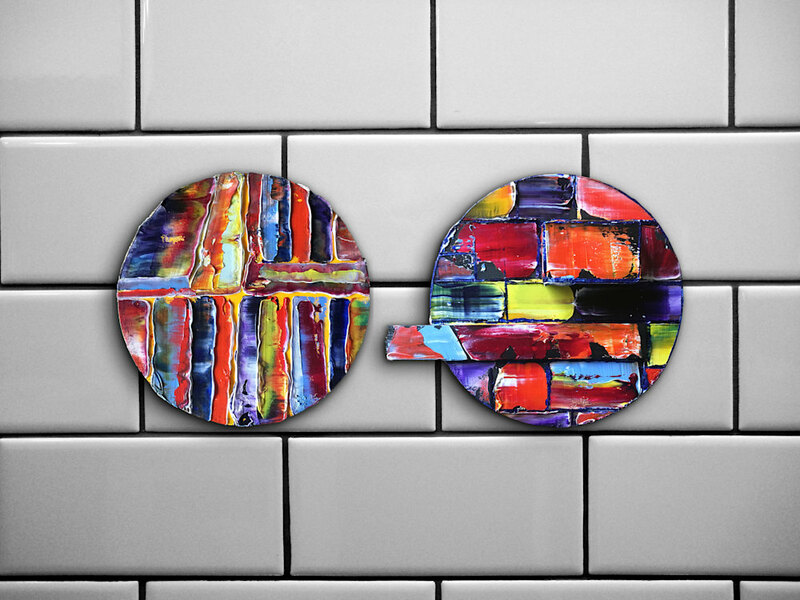 They are part of a series that epitomizes a technique and aesthetic I have been working to perfect over the years and takes them to a new level, both literally and figuratively. Themes in my work of construction, deconstruction, vibrant color, form, texture and decay exist in these pieces and have been amplified by a new layer of broken down, assembled pieces of wood, that have been painted and constructed into the piece. 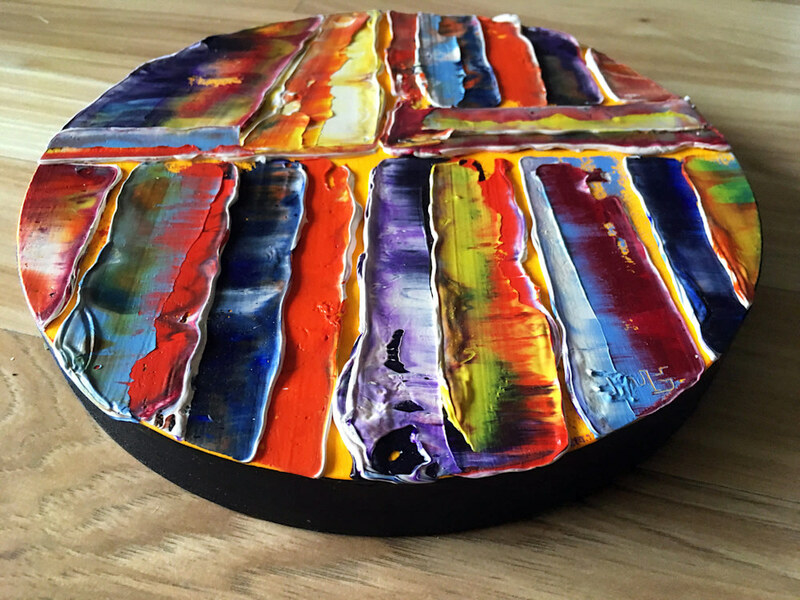 This adds a wonderful new element of shadow and an idea of breaking the plane of a conventional surface and frame. 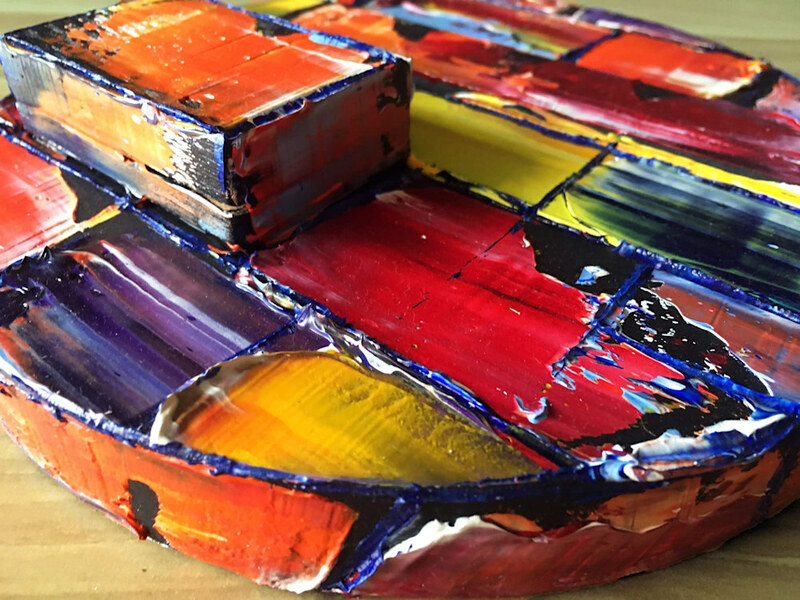 I have continued my obsession with incorporating found and recycled materials and assembled them into what I like to think of as a sculptural painting. 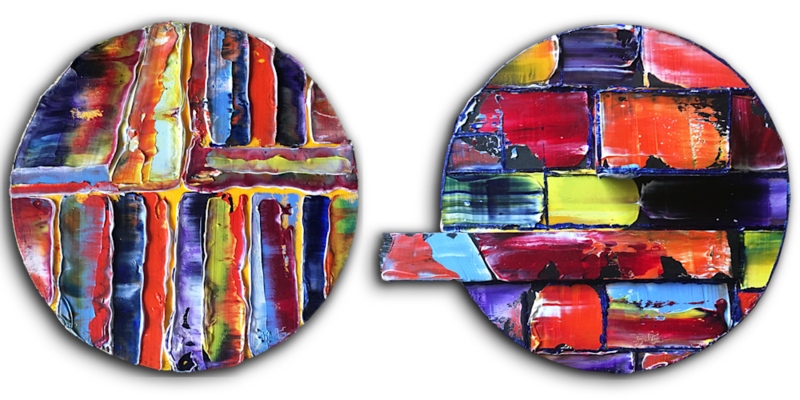 It is beautiful and rugged and fun to look at from multiple angles and with the changing of light that reflects on the piece. 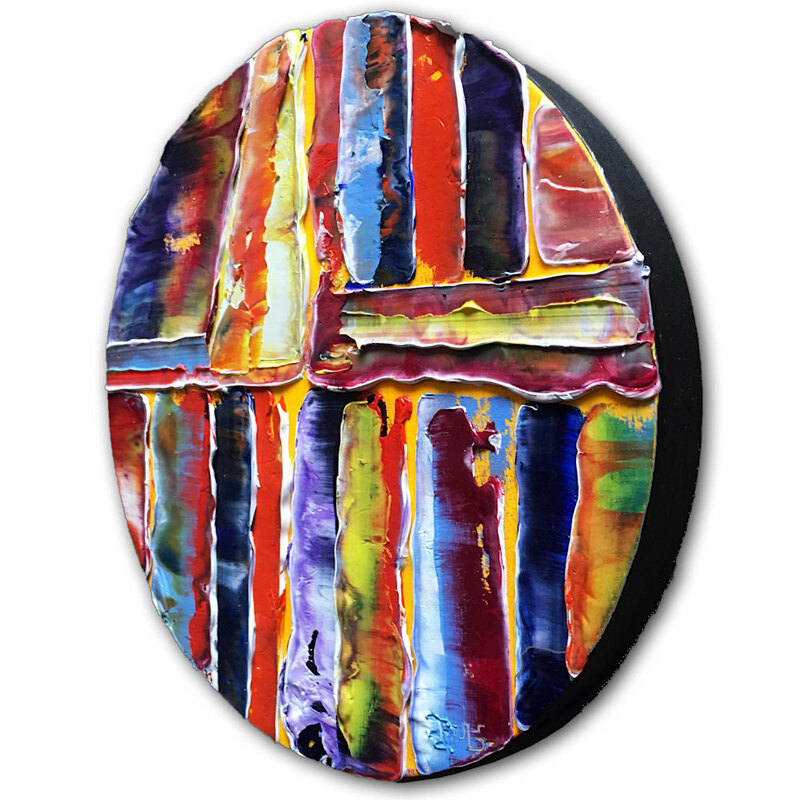 This is a wonderful and vibrant mixture of geometrical shapes, angles and three dimensional forms. 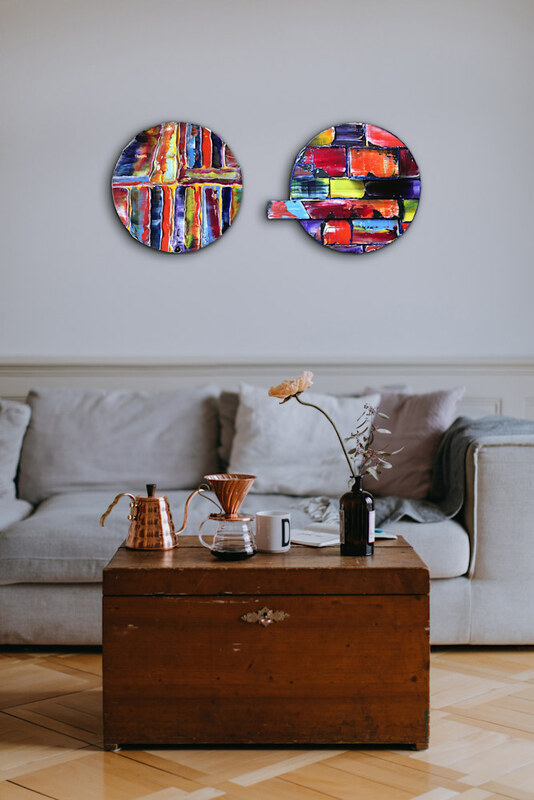 They are truly original artworks like no other and are a nice juxtaposition of pure painterly assembly and actual assemblage.